The Winter Tollwood is the biggest Christmas Market in Munich, it is located on the same place where the Oktoberfest takes place, at the Theresienwiese. 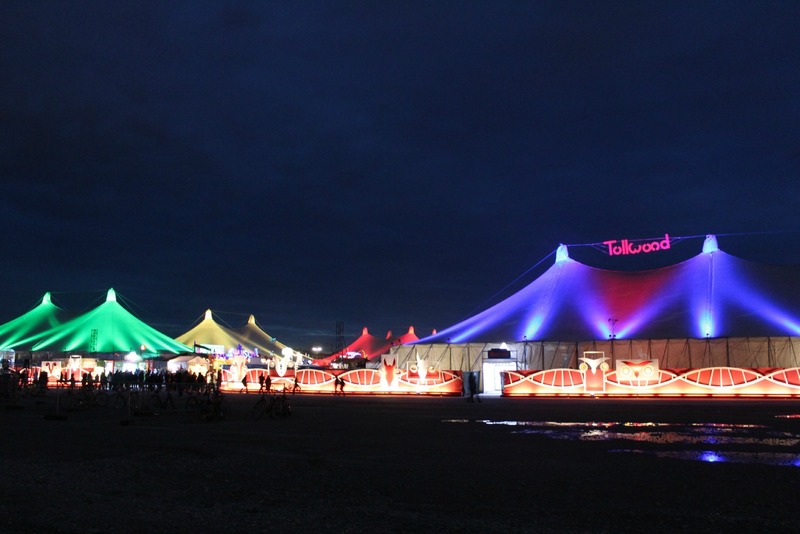 The Tollwood also happens during summer, though at the Olympiapark. At Christmas season the Tollwood is open every day, from the last week of November until December 31st, so whoever is around Munich after Christmas can still enjoy a little bit of a Christmas Market! At the Tollwood there are 3 main tents, one is a market where you can buy some handcrafted things, the other where some presentations, as well as exhibitions take place, and the other with a few restaurants to eat away from the cold, which is always full. What is interesting about Tollwood is that all products sold there are fair trade and organic – BIO in German – from Glühwein to pizza and chocolate. This year there were some petitions in favor of the animals, and even a small store that sold “sausages” and “meat” made of teddy bear cotton, which called the attention of everyone passing by. Their intention was to bring awareness to killing animals. I would like to enjoy this post and wish you all a Merry Christmas. I hope you and your family enjoy your time together and cherish the simple things in life! I hope you had a wonderful Christmas!! It a wonderful, thank you! New Years I will stay at home, relaxing with the family 😀 and you? Merry Christmas Allane! So nice that at least one Christmas market is open after Christmas as well! I know for example that groups travel for the Christmas vacations usually on the 24th so it would be a bummer to miss those markets (in Munich and other cities as well). I was lucky that when I visited Budapest the market re-opened on the 27th so we had the opportunity to try out those delicious desserts! wow it looks so beautiful!! I love this one too 😀 very colourful, and full of delicious things to eat! Oh, that looks like such fun <3 I hear that Munich has the best Christmas markets in the world! Wow, such a cool place! Happy holidays, my dear! Hope you have a great time full of love and laughter with your lovely family! merry christmas! 🙂 keep up the great posts! I hope you had a wonderful Christmas…. and happy 2015!! I will look forward to reading more of your posts in the upcoming year! hahaha crazy right? I was also shocked when I found it!! Merry Christmas! Hope you have a great one and a fantastic 2015 to come. Yesss, I love it 😀 this year was very different than others, but it was very special in its own way! Thank you sooooo much dear Vlad!! I also hope you had an amazing Christmas 😀 I must say things were very calm around here… and now we have looooots of snow, crazy!! Thank you 😀 Im happy that you liked it!! Yes Munich is a very beautiful city 😀 I hope you come and visit sometime!!! Thank you!! Happy new year to you too!! hahaha how cool, then I guess we might have crossed at Tollwood haha!! I love Residenz too, but I found that in 2013 it was even better than last year, I dont know why. Thank you for your comment Pete, and also for stopping by!